Documentary is Canada’s national art form because the history of our cinema — and, in important ways, the history of our country — has been written in documentary. If you want to understand the Canadian psyche, you have to watch Canadian documentaries. So states Marc Glassman, editor of POV Magazine, writing in a special spring issue dedicated to Canada’s documentary tradition. Some of the breadth and vitality of that tradition is showcased in the 17 films that Canada’s public producer is bringing to the 2017 edition of Hot Docs. The NFB line-up this year includes four world premieres — A Better Man, Birth of a Family, The Road Forward and Unarmed Verses — along with over a dozen essential titles from the NFB’s unparalleled collection of Canadian docs. The 24th edition of Hot Docs breaks new ground in gender parity — almost half of the new films on this year’s official program are directed by women and the 2017 edition of Redux, an annual retrospective of classic documentaries, is dedicated exclusively to the work of women directors. Indicative of its own commitment to parity, the NFBs lineup comprises three major features by women filmmakers and a dozen films in the Redux line-up. The four world premieres, distinct in style yet equally ambitious in scope, include a rousing First Nations musical; an audacious reflection on domestic abuse; an unflinching and poignant account of life on the beleaguered edges of Canada’s biggest city; and a doc destined to become a definitive work on the Sixties Scoop. With A Better Man, first-time director Attiya Khan turns the camera on her own painful past in a daring project that aims to reposition the issue of domestic violence. Khan is now an advocate for abused women and children, but twenty years ago she herself was mired in a violent relationship. In an inspired and compassionate move, she reaches out to her abusive ex-partner — and invites him to partake in an onscreen reckoning with their past life together. Khan’s co-director is Larry Jackman and the film is co-produced by Intervention Pictures (Christine Kleckner, producer) and the NFB (Justine Pimlott, producer). 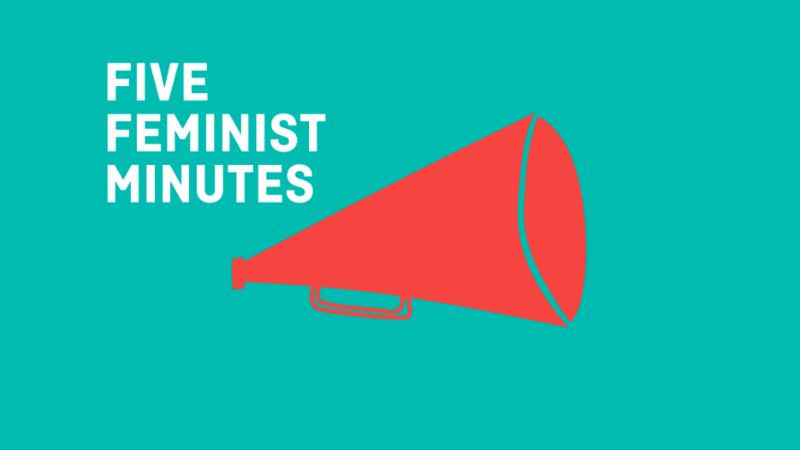 Executive producers for Intervention Productions are Sarah Polley, Kathy Avrich-Johnson and Janice Dawe; NFB executive producer is Anita Lee; and TVO executive producer is Jane Jankovic. A Better Man reunites some of the creative team behind Sarah Polley’s own hit documentary Stories We Tell, also produced by Anita Lee though the NFB Ontario Studio. Kleckner worked on Stories as production coordinator prior to establishing Intervention Pictures, and Iris Ng, the DOP on A Better Man, also lensed Stories. The TRC focussed on the legacy of residential schooling but also fostered greater public awareness of the Sixties Scoop — a practice which saw over 20,000 Indigenous children removed from their birth mothers, uprooted from their home communities, their cultural identities and their language. One of those children was writer/journalist Betty Ann Adam, the driving force behind Birth of a Family. Betty Ann was an adult before she learned she had three younger siblings. All four had been “scooped”— taken from Mary Jane Adam, the Dene woman who’d brought them into the world. Dispersed across the continent, they’d grown up with no knowledge of each other and little sense of their Indigenous heritage. When her birth mother died, Betty Ann resolved to repair some of the damage done, and with Birth of a Family, director Tasha Hubbard documents an extraordinary gathering as the four siblings finally come together as a family for the first time. Co-written by Betty Ann Adam and Tasha Hubbard, Birth of a Family is produced by the North West Studio (Bonnie Thompson, producer; David Christensen, executive producer). Working in altogether different register, Métis/Dene director Marie Clements draws upon her extensive theatre experience in The Road Forward, dosing her documentary with the tonic élan of political cabaret. Crafting a spirited musical journey through over 50 years of West Coast Indigenous activism, she works with an original score by Wayne Lavallee and a powerhouse cast of top-notch Indigenous talent, framing stylized interviews with rousing production numbers. Clements first created The Road Forward as a multi-media performance event for the Aboriginal Pavilion at the 2010 Vancouver Cultural Olympiad. 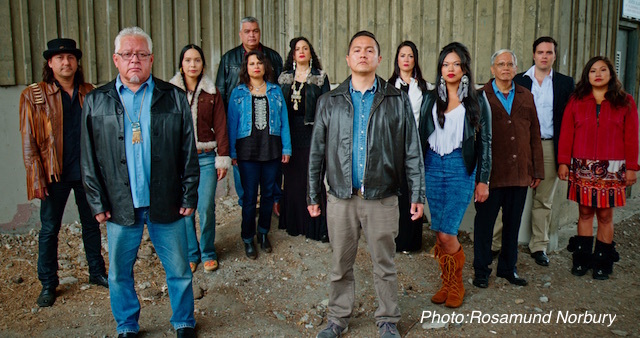 Her cast, pictured below, features Wayne Lavallee, Jennifer Kreisberg, Michelle St. John, Cheri Maracle, Ostwelve (Ronnie Dean Harris), Murray Porter, Russell Wallace and Shakti Hayes. The Road Forward is produced by Shirley Vercruysse for the BC & Yukon Studio. They’re young, gifted and black — and about to be uprooted from the place they know as home, a Toronto housing project that’s slated for complete overall. Enter Charles Officer, the Toronto-based director behind feature films like Nurse.Fighter.Boy and acclaimed docs like Mighty Jerome. Over the course of one eventful year, he documents their involvement with an inventive community arts initiative, quietly observing as they literally give voice to their hopes and uncertainties. The result is a hugely sympathetic exercise in vérité cinema — an achingly lyrical account of growing up disadvantaged in Toronto’s vast suburban hinterland, and a soaring testament to the power of poetry. “Charles is both a fiction director and documentarian, and he brings all that experience to this project,” says producer Lea Marin. “He’s sensitive to issues of race and class yet always focussed on crafting an original and compelling story, one that’s rich in real-life drama and characters.” Unarmed Verses is produced by Lea Marin for the Ontario Studio. With Redux, the Hot Docs programmers have carved out a special place on their schedule for essential docs that have left a lasting mark on the genre. This year the line-up consists entirely of Canadian docs by Canadian women filmmakers and includes a dozen influential NFB titles. Among them is Alanis Obomsawin’s simple but oh so powerful first film Christmas at Moose Factory (1971), one of the first Canadian docs to privilege the voice of its Indigenous subjects, sharing a program with Tracey Deer’s 2005 hit doc Mohawk Girls and Michelle Latimer’s Nimmikaage: She Dances for People (2015). Also on the program is a trio of important films by Black women directors — Sisters in the Struggle (1991), by Dionne Brand and Ginny Stikeman, Speak It! From the Heart of Black Nova Scotia (1992), by Sylvia Hamilton and Black Soul (2000), by Martine Chartrand — along with Lynne Fernie and Arelyn Wiseman’s legendary Forbidden Love (1992), one of the first feature docs to bring LGBTQ issues to a general audience. Completing the NFB presence in the Redux program is Anne-Claire Poirier’s Genie Award-winning feature Tu as crié LET ME GO (1998); Jenn Strom’s experimental tribute to Studio D founder Kathleen Shannon, Assembly (2012); Anne Wheeler’s finely etched documentary portrait Augusta (1976); Min Sook Lee’s ambitious historical doc Tiger Spirit (2008); and the fascinating 1943 proto-feminist film Proudly She Marches. Made for the wartime newsreel series Canada Carries On, it was directed by the equally fascinating Jane Marsh, one of the first women directors at the NFB. Rounding out the NFB’s Hot Docs slate is the 2011 Red Queen/NFB co-production The Mystery of Mazo de la Roche, presented as part of a mid-career retrospective of work by Maya Gallus. For the complete 2017 program consult the Hot Docs schedule.